Are we heading to a war? Russia and the US are exchanging threats and mustering forces to Syrian coast. The President of the United States Donald Trump on 11 April urged Russia to get ready to deal with an attack on the Syrian territory. According to him, it is going to be carried out with “new and smart” rockets. That came as a response to the Russian party’s statement on being ready to knock down American rockets and to “target fire origins”. The American leader is confident that those who support the Assad regime – Iran and Russia – have a “big price” to pay for the chemical attack launched in the Syrian city of Douma on 7 April that killed at least 70 people. Donald Trump also stressed that the U.S.-Russia relations are “now worse than they have ever been, even during the Cold War period”, but still urged to stop the arms race. In response to Trump, the Russian foreign ministry said that the “smart rockets” should be launched on terrorists, not the lawful government”. The Russian General Staff urged the United States and their allies to “restore Rakka instead of threatening others”. The head of the Russian state Vladimir Putin has called the current situation in the world “increasingly chaotic”, although he expressed hope that “common sense would prevail and the relations would become constructive”. On 10 April, The Wall Street Journal reported that the United States has begun laying the groundwork for a strike on Syria in response to what happened in Douma. According to the newspaper, the Pentagon has prepared “a series of military measures” for Donald Trump. 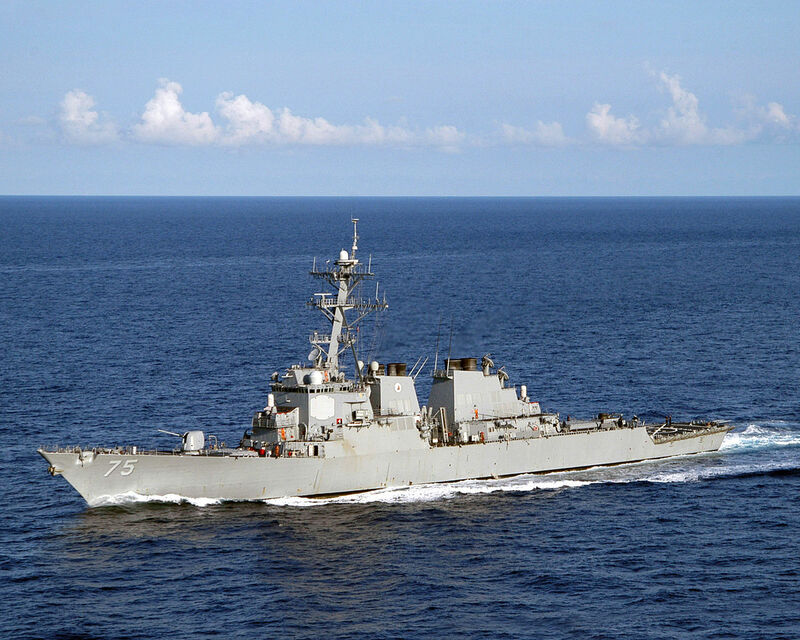 CNN Turk has informed that USS Donald Cook destroyer (DDG-75), equipped with Tomahawk cruise missiles, as well as with Aegis ballistic missile defense system, left the Larnaca port in Cyprus and departed toward the coast of Syria on 9 April. Soon after that, it was revealed that the destroyer has come within 100 km of Syria’s Tartus, where the Russian Navy support center is located. Another guided missile destroyer USS Porter is also supposed to join Donald Cook, but, according to experts, it cannot arrive in the East Mediterranean area earlier than 16 April. Also on Wednesday, a strike force of U.S. ships headed by the USS Harry S. Truman (CVN-75) aircraft carrier is supposed to depart towards Europe and the Middle East. According to Stars & Stripes, the strike force was expected to consist of the Normandy guided missile cruiser, the USS Arleigh Burke (DDG-51), the USS Forest Sherman (DD-931), the USS Farragut (DD-348), which will be later joined by the USS Jason Dunham (DDG-109) and the USS The Sullivans (DD-537). Around 6,500 military servicemen are expected to be aboard the ships. 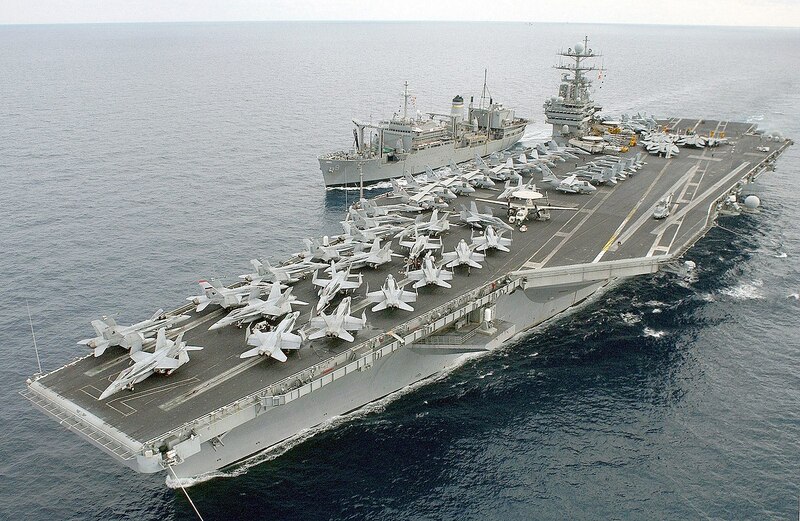 The Pentagon assures that the journey of the U.S. Navy strike force headed by the USS Harry S. Truman (CVN-75) to the Mediterranean is preplanned and is intended to ensure security at sea. According to the estimates by the Russian General Staff, the ships are expected to arrive in the Persian Gulf at the beginning of May. Moscow points out that is “now the common practice of the U.S. Navy presence in the region”. Along with that, the USS Georgia (SSGN-729), an Ohio-class ballistic missile submarine is also located in the East Mediterranean. According to the New York Times, the United States are going to conduct a larger operation than it did on 7 April 2017 (the first use of force by Americans against the Syrian government). Then, in response to the use of chemical weapons in Idlib, the U.S. fired 59 missiles on the military aerodrome, killing 15 people. However, the aerodrome resumed operation soon, while chemical attacks never stopped. The scope of the operation may expand due to a selection of fire on several targets. At the same time, Washington does not intend to drag the operation on for a long time. The New York Times writes that over this year, the US has expanded the list of possible targets in Syria to include barns, warehouses and support centers. The Stratfor claims that aerodromes around Damascus may be targeted, as well as a number of facilities that are vital for the Syrian chemical program. The Los Angeles Times does not exclude that Syria’s air defense system may become a target too. On 11 April, Krymsky Kanal on Telegram informed that the occupational Russian Black Sea navy, which is based in the annexed city of Sevastopol, has been put on standby. According to the information, all military commanders of bases have been present at the Black Sea Navy headquarters since the morning. According to some information, the fleet has been on standby since mid-March. Also, the Pytlivy with Smerch-2, the Admiral Essen and the Admiral Grigorovich with Calibers aboard, as well as large amphibious vessels the Cesar Kunikov, the Orsk and the Minsk large amphibious vessels are also already in the Mediterranean Sea by the coast of Syria. Also, Russia may deploy the Admiral Makarov frigate with Caliber cruise missiles to the coast of Syria. The frigate is said to be located in Baltiysk as of right now. According to Interfax, some 15 Russian military ships and logistics vessels are currently operating within the Mediterranean Standing Naval Force, as well as submarines that have repeatedly attacked the facilities controlled by the Syrian rebels. Nonetheless, according to a message from the NOTAM air security system, from 11 April on, Russian ships are going to engage in an exercise in the international waters of the Mediterranean Sea by the Syrian coast. The exercise will take place in a closed area and will involve several stages including firing practice. The exercise is supposed to go on until 26 April. After the Douma chemical attack, Trump said the United States had “multiple opportunities” to carry out a military strike on Syria, and they were coordinating their actions with allies, mostly with France and the United Kingdom. 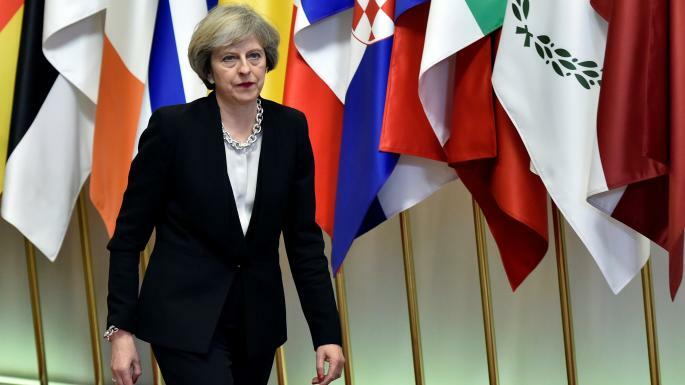 For the time being, London has refused to carry out a strike on Syria, until enough evidence about the use of chemical weapons. Paris has acknowledged the possibility of joining the operation, noting that warehouses with chemical weapons need to be targeted. According to American media outlets, Saudi Arabia, Qatar, and the United Arab Emirates could get involved in the operation too. The participation of Turkey, Jordan, and Iraq also should not be excluded. At the same time, Reseau International, citing sources, suggests that should the U.S. carry out a military strike on Syria, Chinese ships would become part of the Russian Navy. On 11 April, the Pentagon claimed to be ready to go to war in Syria, although Washington continues gathering intelligence regarding the chemical attack. If the United States decides to carry out a strike on Syria, it may be the beginning of a full-scale war with Russia. While half of the world is trying to figure out whether the U.S. President declared war against Russia today or changed his mind 40 minutes later (the amount of time between the two tweets), the other half of the world has braced for the final decision that Trump promised to make by the end of Wednesday. Nonetheless, today, on 11 April, Eurocontrol warned airline companies about a possible airstrike on Syria within 72 hours.